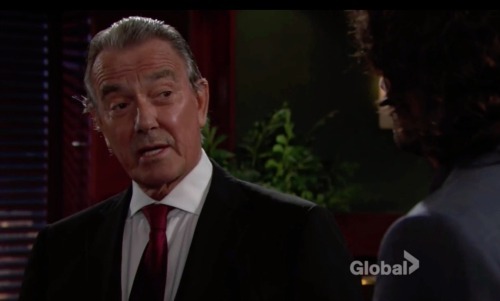 The Young and the Restless (Y&R) spoilers for Monday, June 12, tease that Kevin (Greg Rikaart) will move forward with his plan to free Chloe (Elizabeth Hendrickson). He’ll arrive at Dr. Harris’ house and peek inside. Kevin will seem nervous as he watches Chloe chatting with her doctor through the window. He’ll look around to see if the coast is clear before he takes action. Kevin has a gun with him, which means things could easily take a dangerous turn. Since Dr. Harris is so committed to helping Chloe and raking in Victor’s (Eric Braeden) cash, he obviously won’t give her up without a fight. Will Kevin pull out his weapon and deliver a threat? 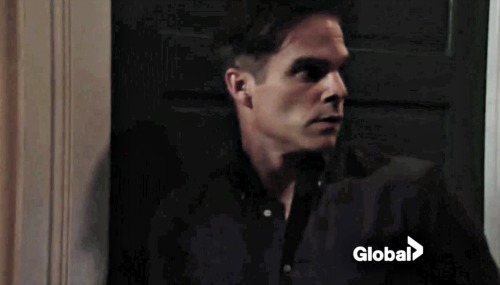 Kevin and Chloe probably won’t leave without a serious showdown. Another Young and the Restless spoiler states that Abby (Melissa Ordway) and Jack (Peter Bergman) will discuss the start-up. Victor wants to make it part of Newman Enterprises, but it appears Jack still wants to be on the team. Abby will suggest that Victor will go ballistic if he finds out Jack’s involved in this project. She’ll worry about facing her father’s wrath. Abby is playing with fire, but it’s tough to believe Victor would truly punish her right now. Nikki (Melody Thomas Scott), Victoria (Amelia Heinle) and Nick (Joshua Morrow) have all turned against him. If Victor shuts Abby out, he’ll have no one. Abby may remain the golden girl, even if she goofs up in a big way. Of course, a Young and Restless spoiler hints that the situation could shift if Jack resumes his revenge plot. He decided to go after Victor personally instead of professionally, but there could be some overlap sooner or later. Abby could get caught in the middle of an intense war. In the meantime, Scott (Daniel Hall) will likely tender his resignation. He’s tired of doing busy work for Victor. Besides, the corporate scene isn’t really Scott’s thing anyway. Since Victor appreciates Scott’s skills, and a Y&R spoiler hints that he may make another offer to keep his newest employee around. Y&R spoilers hint that Scott just won’t be able to pass up this opportunity. Victor will promise that this is going to be a challenge, but he’ll assume that’s what Scott wants. Scott will declare that he won’t let Victor down. He’ll be excited about what’s in store. What kind of job is Scott taking on? Will it lead to any shocking revelations? We’ll give you updates as other Young and the Restless news comes in. Stay tuned to Y&R and don’t forget to check CDL often for the latest Young and the Restless spoilers, updates and news. ‘The Young and the Restless’ Spoilers: Justin Hartley Confirms Leaving Y&R, Focusing on This Is Us – Will He Return?